The Knicks apparently won’t have to worry about Zion Williamson demanding a trade if they win the lottery. Williamson said on Friday that he would “love to play” for the Knicks if they drafted him, Adam Zagoria of the New York Times tweets. The Duke freshman made the remark during a Final Four press conference while accepting the Oscar Robertson (Player of the Year) Award. He went on to say he’d be happy to go wherever he was drafted. The Raptors made a number of cost-cutting moves during the course of the season that saved an approximate $18MM, as Blake Murphy of The Athletic details. Waiving Lorenzo Brown, dumping the salaries of Malachi Richardson and Greg Monroe, trading three players for Marc Gasol, getting Gasol to waive his trade kicker, and signing players to 10-day contracts to meet roster requirements all contributed to a healthier bottom line. The Raptors still have an open roster spot heading toward the playoffs and will likely sign a player, Murphy writes in the same story. Guard Jordan Loyd’s two-way contract could be converted to a standard contract and center Eric Moreland, who recently played on a 10-day contract, is another candidate. Veteran center Marcin Gortat could also be in play. The 76ers believe their powerhouse starting lineup will be the difference in the playoffs, even though they haven’t played much together, Michael Lee of The Athletic reports. They’ve gone 8-2 in games that Tobias Harris, J.J. Redick, Ben Simmons, Joel Embiid and Jimmy Butler have all been available to play. “Although that starting group hasn’t played that much basketball together, especially relative to the other teams, the excitement is to take the talent we have and quickly try to maximize that,” coach Brett Brown said. Between the day that the Cavaliers beat the Warriors to win the 2016 NBA Finals and the day Kevin Durant opted to sign with Golden State, Cleveland’s then-GM David Griffin gathered his staff and instructed them to look into possible paths to landing Durant, writes ESPN’s Zach Lowe. As Lowe explains, there was a fear after the Finals that KD would head to the Dubs, and even though the Cavs recognized they had little chance of securing a meeting with him, they wanted to do all they could to explore the possibility. Of course, Durant ultimately signed with the Warriors and the Cavaliers didn’t get a meeting. That second part, at least, came as no surprise, since Cleveland was one of just three clubs during the summer of 2016 that ended up staying over the salary cap despite a huge cap spike that created room for 27 other teams. It would have been extremely difficult for the Cavs to create space to sign Durant, and a sign-and-trade with Oklahoma City would have been a long shot, even if the star forward had considered Cleveland. It’s hard to even view the Cavs’ failed run at Durant an intriguing what-if scenario, since it never got off the ground at all. Still, it’s a reminder that even the league’s most successful teams will do their due diligence to find ways they can add another star and become even more dangerous — even if the road to an acquisition seems improbable. While many NBA observers and fans questioned the league’s decision to suspend Marquese Chriss for a game after he defended himself from a physical attack from Serge Ibaka, Cavs head coach Larry Drew thought it was the right call, as Chris Fedor of Cleveland.com relays. “Punches were thrown by both guys and I thought the ruling the league made was the right decision,” Drew said. Former Kings and Raptors swingman Malachi Richardson signed a G League contract and has been claimed off waivers by the Canton Charge, Cleveland’s NBAGL affiliate, a league source tells Adam Johnson of 2 Ways & 10 Days (Twitter link). Richardson was traded from Toronto to Philadelphia at last month’s deadline and was subsequently waived by the Sixers. 2:03pm: The trade is official, the Sixers and Raptors have confirmed in press releases. 1:43pm: A pair of Atlantic Division rivals have agreed to a trade one day after playing each other, reports Keith Pompey of The Philadelphia Inquirer (Twitter link). According to Pompey, the Sixers are acquiring shooting guard Malachi Richardson from the Raptors, along with a 2022 second-round pick and the draft rights to Emir Preldzic. Toronto will receive cash considerations in return. Richardson, 23, was acquired by the Raptors at last season’s trade deadline in exchange for Bruno Caboclo in a cost-cutting move, and this deal appears financially motivated as well. Toronto is over the luxury tax threshold for 2018/19, and will reduce its projected end-of-season tax bill by moving off Richardson’s $1,569,360 salary. In parts of two seasons with the Raptors, Richardson appeared in just 23 games (4.7 MPG), averaging 1.4 PPG and 0.6 RPG in his very limited role. After trading him away, Toronto will have just 13 players on its 15-man roster and will have two weeks to get back up to the league-mandated minimum of 14 players. The Raptors could make another trade before Monday’s deadline to add a 14th player, or could explore the buyout market later in the month for a veteran. Signing a player to a 10-day contract would also be an option, albeit just a temporary one — the club would have to get back up to 14 players again at some point once a 10-day deal expires. As for the Sixers, they still have an open roster spot after letting Corey Brewer‘s second 10-day contract expire this week, so they won’t have to make a corresponding move to make room for Richardson. It’s not clear if the club envisions the former Syracuse standout filling that 15th roster spot for the rest of the season or if he’ll be waived at some point. Preldzic, the 57th overall pick in the 2009 draft, appears unlikely to ever make the leap to the NBA at this point, so if the 76ers don’t have plans for Richardson, it looks like the 2022 draft pick will be the “prize” of this minor deal for Philadelphia. The Rockets have assigned veteran guard Brandon Knight to their affiliate in Rio Grande Valley, tweets Mark Berman of Fox 26 in Houston. This will be the second G League trip of the year for Knight, who is working his way back after missing a year and a half with an ACL tear. Knight has seen limited minutes in six games with Houston since returning to action. The Raptors sent Malachi Richardson to their Raptors 905 affiliate, according to a tweet from the G League team. Richardson has appeared in 19 games for Toronto, but is only seeing 5.0 minutes per night. The Jazz tweeted that they have recalled Tony Bradley from the Salt Lake City Stars. Bradley has made several trips back and forth to the G League, but has yet to play in an NBA game this season. The Bucks recalled Donte DiVincenzo from their Wisconsin affiliate, according to a tweet from the team. The rookie guard had 17 points, six rebounds and three assists for the Herd last night. The Kings recalled Harry Giles after sending him to Stockton for Friday’s game, the team announced on its website. Giles had 20 points, seven rebounds and five assists in his latest G league trip. The Jazz have assigned Raul Neto to the Salt Lake City Stars, according to the team’s website. Neto is rehabbing from a hamstring injury. The Raptors have assigned Malachi Richardson to their G League affiliate, according to the Raptors 905’s Twitter feed. The Lakers have recalled Moritz Wagner and Svi Mykhailiuk from the South Bay Lakers, the team announces on Twitter. Elie Okobo will head to the Northern Arizona Suns, as Phoenix has assigned him to their G League affiliate (per the team’s website). The rookie has played in 11 NBA games for the Suns this season. The Bucks have assigned Christian Wood to the Wisconsin Herd, according to the team’s Twitter feed. Raptors swingman Norman Powell left Monday night’s win over Utah with a left shoulder injury, and the initial diagnosis from the team is a subluxation of that shoulder, as Ryan Wolstat of The Toronto Sun tweets. Powell will undergo further evaluations to determine the severity of the injury, but Wolstat notes that a subluxation translates to a partial dislocation, which doesn’t sound like great news. If Powell is forced to miss some time, the Raptors have the depth to handle his absence. Second-stringers like C.J. Miles and Delon Wright could see a little more action with Powell out, while Lorenzo Brown and Malachi Richardson would be among the candidates to play a few minutes on nights when Kawhi Leonard sits. Malachi Richardson was one of eight players who had his 2019/20 rookie scale option turned down last week, leaving him at a crossroads, writes Blake Murphy of The Athletic. As Murphy observes, Richardson still has a little intrigue as a prospect, but his minor role in Toronto and the possibility of a large tax bill next season led to the team declining that option. One person within the Raptors’ organization tells Paolo Uggetti of The Ringer that the expectation for Kawhi Leonard is that he’ll be fully healthy sometime around the All-Star break. The jammed foot currently sidelining Leonard isn’t considered a major issue, but even before suffering that injury, the former Finals MVP was only playing one game during back-to-back sets. Uggetti’s source seems to be suggesting that could change later in the season, if necessary. On Monday, we relayed a few details on how the Raptors hope to sell Leonard on sticking in Toronto beyond this season, via Tim Bontemps of ESPN.com. The Raptors won’t pick up Malachi Richardson‘s fourth-year option for the 2019/20 season, reports Michael Scotto of The Athletic (via Twitter). The decision ensures that Richardson will become an unrestricted free agent during the summer of 2019. 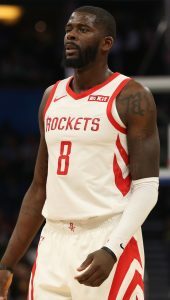 Richardson, the 22nd overall pick in 2016, was acquired by the Kings on draft night and spent a season and a half in Sacramento before being sent to the Raptors at last season’s trade deadline. The former Syracuse standout was never able to establish a consistent role with the Kings and hasn’t played much in Toronto either, appearing in just six games for the club since February’s trade. The $2,581,597 cap hit on Richardson’s 2019/20 option was modest, but every dollar will count for the Raptors, especially if they’re able to re-sign Kawhi Leonard — in that scenario, the team would almost certainly be in luxury tax territory, so replacing Richardson with a minimum-salary player would create substantial savings. While the Raptors have yet to make an official announcement on 2019/20 rookie scale options, their other decisions are easy ones, as they’ll surely be picking up the options for Pascal Siakam and OG Anunoby. Team and player options on veteran contracts must be exercised by the end of June before the new league year begins on July 1, but the same rules don’t apply to team options in rookie scale contracts. First-round picks who signed standard rookie contracts have third- and fourth-year options included in their deals, and those options must be exercised – or declined – seven months early. The deadline for rookie scale option decisions is October 31, which means that teams have about another month to decide whether to pick up those options for the 2019/20 season. It’s an unusual structure, one that forces teams to make decisions before seeing how their players will perform on the court that season. Last fall, for instance, the Magic turned down their fourth-year option on Mario Hezonja for 2018/19. Hezonja subsequently enjoyed his best season as a pro, and instead of entering the final year of his rookie contract with Orlando, he was able to hit the open market and secure a larger salary with the Knicks. Cases like Hezonja’s are rare, however. For the most part, teams will exercise their rookie scale options, particularly third-year options. Third-year options are generally pretty affordable, and decisions are due after a player has been in the NBA for just one season, so clubs are reluctant to give up on their first-round picks that early. D.J. 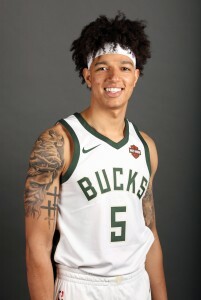 Wilson, Bucks (third year, $2,961,120): Wilson had some good games in the G League last season, but his overall NBAGL numbers were just okay for a first-round pick, and he only played 72 minutes in 22 NBA games. As noted above, teams often don’t give up this early on first-round picks, and Wilson’s cap charge is affordable enough that it’s probably worth securing him for at least one more year. This isn’t a slam-dunk though. Malachi Richardson, Raptors (fourth year, $2,581,597): When the Raptors sent Bruno Caboclo to Sacramento in exchange for Richardson at last season’s trade deadline, it reduced their 2017/18 payroll and increased their flexibility to make a move on the buyout market. But it also meant taking on Richardson’s guarantee for 2018/19, while Caboclo’s contract expired. Richardson seems unlikely to have any sort of role this season on a deep, talented Toronto team, and with the club at risk of being in the tax again in 2019/20, I don’t expect the Raps to lock in Richardson for another year. Guerschon Yabusele (third year, $3,117,240): While the “Dancing Bear” has no shortage of fans in Boston, it’s hard to see how he’ll earn playing time in a frontcourt that features Al Horford, Aron Baynes, Semi Ojeleye, Daniel Theis, and first-rounder Robert Williams — especially if Jayson Tatum and/or Gordon Hayward see significant minutes at the four. Yabusele has promise, but with the Celtics now in the tax, it might make sense to use his roster spot on a minimum-salary player starting in 2019/20. Malik Beasley, Nuggets (fourth year, $2,731,714): Denver’s lack of reliable backcourt depth bodes well for Beasley, who could parlay a solid Summer League showing into a regular backup role at shooting guard. The Nuggets don’t have serious tax concerns for 2019/20, so exercising Beasley’s modestly-priced option wouldn’t be a major risk. Still, it would be an easier decision if he’d shown more improvement in his sophomore season. Instead, he posted just 3.2 PPG on 41.0% shooting in 62 games in 2017/18. Justin Patton, Timberwolves (third year, $3,117,240): After missing nearly all of his rookie season due to foot problems, Patton has undergone another foot procedure this month, raising some doubts about his availability for the 2018/19 season. Nonetheless, I expect the Timberwolves will want to give Patton another chance to get healthy before cutting their losses on him, particularly since he may soon be the lone piece remaining from last summer’s trade with the Bulls. For a full breakdown of this year’s decisions on 2019/20 rookie scale options, click here.